Whether you live in the city or in the country, we are all conscious of the space surrounding us. We all strive to keep our space organised, smart and de-cluttered. 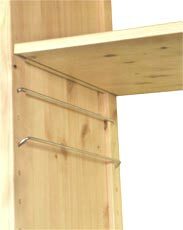 SHELFSTORE’s home office, bedroom and living room shelving are the ideal means to this ends.